This month on Building Better Communities with Transit , we’re joined by Minneapolis City Council President Lisa Bender to learn about their recent comprehensive plan update. The city used the update to revamp its zoning, set ambitious goals for climate change, and pointedly address equity and racial disparities in the city. Since Transportation for America launched their Stuck in the Station resource, local leaders, journalists, editorial boards, and members of Congress have been loudly critical of USDOT’s failure to fund and advance transit projects. Here’s some of the most recent updates. Of the $2.3 billion that Congress has given USDOT for transit capital investments since Trump took office, USDOT has distributed a meager 20 percent to transit projects waiting for funding. These avoidable delays are costing local communities money and putting jobs at risk. Last March, Congress provided the Federal Transit Administration (FTA) with about $1.4 billion to help build and expand transit systems across the country. 142 days later and counting, FTA has obligated almost none of these funds to new transit projects. Our resource—Stuck in the Station—will continue tracking exactly how long FTA has been declining to do their job, how much money has been committed, and which communities are paying a hefty price in avoidable delays. Five communities working to support development around transit projects will get a big boost this year thanks to technical assistance from the Federal Transit Administration (FTA), in partnership with Smart Growth America. The National Public Transportation/Transit-Oriented Development Technical Assistance Initiative is a four-year project of FTA in partnership with Smart Growth America that helps communities across the country build equitable, compact, mixed-use development around transit stations or along transit corridors, with a focus on development in economically disadvantaged areas. Oklahoma City, OK – and its project restoring the historic Santa Fe depot, above — is one of nine communities selected to receive technical assistance from the Federal Transit Administration and Smart Growth America. Nine communities working to support development around planned or existing transit projects will get a big boost this year thanks to newly awarded technical assistance from the Federal Transit Administration (FTA), in partnership with Smart Growth America. The National Public Transportation/Transit-Oriented Development Technical Assistance Initiative, which officially launched in December, is a four-year project of FTA in partnership with Smart Growth America to help communities across the country build compact, mixed-use, equitable development around transit stations, with a focus on development in disadvantaged areas. Transportation plays a critical role in connecting Americans and communities to economic opportunity. The National Public Transportation/Transit-Oriented Development Technical Assistance Ladders of Opportunity Initiative, a project of the Federal Transit Administration (FTA) in partnership with Smart Growth America, will provide state and local leaders with new ideas, resources, and capacity for building transit-oriented development. Requests for technical assistance workshops are now open and on December 10, FTA and Smart Growth America hosted an informational webinar to discuss in detail the technical assistance workshops and the application process. A recording of the webinar is now available. Speaking on the webinar were Kimberly Gayle, Director of the Office of Policy Review and Development at the Federal Transit Administration; Chris Zimmerman, Vice President of Economic Development at Smart Growth America; and Beth Osborne, Senior Policy Advisor at Smart Growth America. Community leaders who have received FTA-funded transit projects grants and are considering TOD, or need ideas and assistance with TOD, are invited to request assistance. Requests are due by 5:00 p.m. EST Tuesday, January 19, 2016. Visit TODresources.org to learn more and apply. Transportation plays a critical role in connecting Americans and communities to economic opportunity. 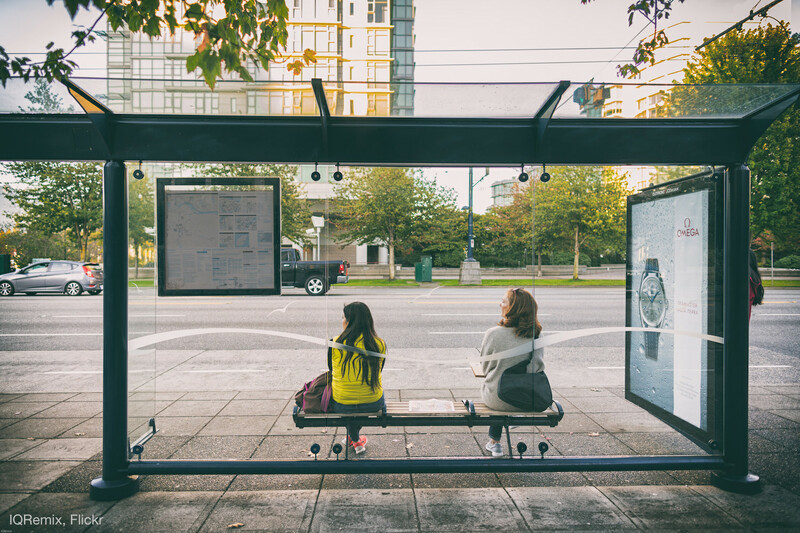 Today, we’re excited to announce a new project that will help people connect to public transportation easily, efficiently, and affordably. The Transit-Oriented Development technical assistance initiative, a project of the Federal Transit Administration in partnership with Smart Growth America, will provide state and local leaders with new ideas, resources, and capacity for building transit-oriented development, or “TOD”. Well-done TOD takes advantage of nearby transit to create desirable places to live, work, and visit that feature amenities like entertainment venues, parks, retail, restaurants, an improved pedestrian environment and diverse housing choices. Sound Transit’s LINK light rail on the Seattle-SeaTac line. Six stations will eventually be added to Tacoma’s separate LINK line, doubling their number of stations. Crossposted from Transportation for America. It’s important that communities make the best use of land around transit lines and stops, efficiently locate jobs and housing near new transit stations, and boost ridership — which can also increase the amount of money gained back at the farebox. Twenty-one communities today received a total of $19.5 million in federal grants from a new pilot program intended to do exactly that. The Federal Transit Administration (FTA)’s Transit-Oriented Development Planning Pilot Program was one of the bright spots in MAP-21, and a priority we worked hard to see included in the final bill during those negotiations back in the summer of 2012, along with our colleagues at LOCUS, the coalition of responsible real estate investors within Smart Growth America. TriMet’s joint development program in Portland, OR, helped build the Patton Apartments (above) on land once occupied by the Crown Motel. Photo via SERA Architects. Developing land owned by transit agencies boosts ridership and supports local economies. So how come more agencies don’t do it?